Aren’t MINIs fun to drive! The awesome auto mechanics at Cordell’s Automotive know how much fun you have on the streets of Holmen every day and that’s why we are well prepared to provide you with tire service or far more extensive auto repair services to keep you and your MINI out there having fun. We are here for you. 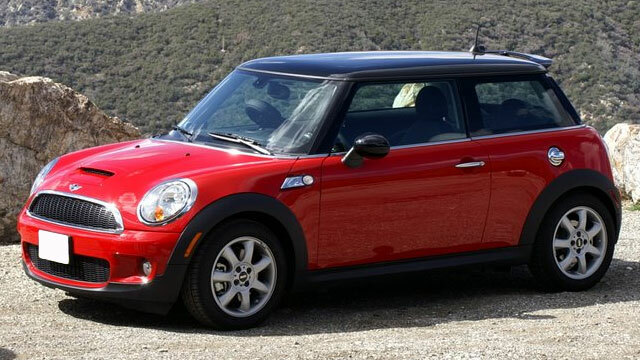 Your MINI may be mini, but it still represents the ultimate driving experience. The team at Cordell’s Automotive in Holmen not only knows that, but strives to remain cutting edge to be able to deliver the very best in quality workmanship. We also focus on your customer-service experience and you can count on us to treat you like an extended member of our family. We will never try to sell you on anything your MINI doesn’t need and we will always educate you on what we find so that you can feel confident in making any and all auto repair decisions. The auto mechanics at Cordell’s Automotive will always make things right and will go out of their way to provide you with the best customer service possible. We back our work with a 3-year/36,000 mile warranty and will always do our best to help you get to wherever you need to go even if you’re tempted to hang out in our awesome waiting room. We’d love to work on your MINI. Schedule an appointment today. Cordell’s Automotive is located at 300 South Holmen Drive, Holmen, WI, 54636. Our hours are 7:00 AM - 5:30 PM, Monday - Friday. We also service the communities of La Crosse, Onalaska, and Trempealeau.